The 2019 North American Envirothon hosts "Agriculture and the Environment: Knowledge & Technology to Feed the World"
We offer online resources, training sessions, and training trunks to help students prepare for the Envirothon competition. The final scores for the 2018 NJ Envirothon have been posted online. "Agriculture and the Environment: Knowledge & Technology to Feed the World"
Mandatory Forms are due by April 1, 2019. 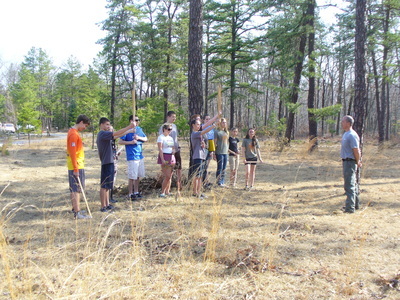 For more info, contact Richard Belcher, NJ Envirothon Coordinator or your local Soil Conservation District (SCD).